So I played around with this vegan recipe and made it gluten-free as well, and voila! Completely non-traditional seder food. As someone who does—under non-gefilte fish conditions—prefer to keep it as traditional as possible, I have to say that I would rather eat this vegan, gf version any Passover of the year. Plus, it’s super easy. So the gluten-free types have been able to enjoy the season for several years already. But you really do need to watch the clock when you’re cooking, one minute too long and they will fall apart. And since I actually prefer potatoes, parsnips and cauliflower to white fish, well, the vegan’izing of this dish was a-OK with me. Better than OK since I actually ate this version. 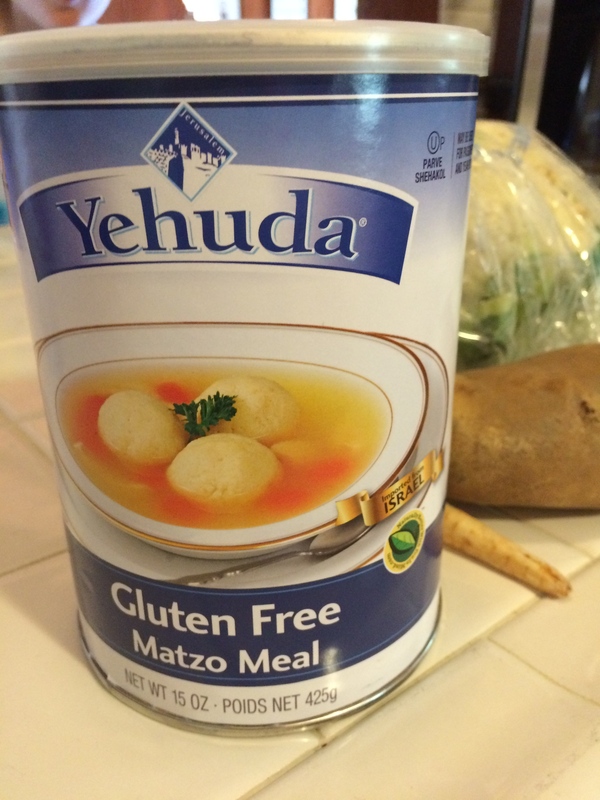 Now, let’s get on with the hiding of the (gluten-free) matzo! 1. Peel your potato and parsnip and cut into small pieces. Break the cauliflower into florets. Bring large pot of water to the boil and add the potato, parsnip and cauliflower. Cook for 10 minutes, or until softened. Grate the onion into a large bowl and set aside. Add the salt, pepper and celery salt, gluten-free matzo meal and almond meal and mix well. 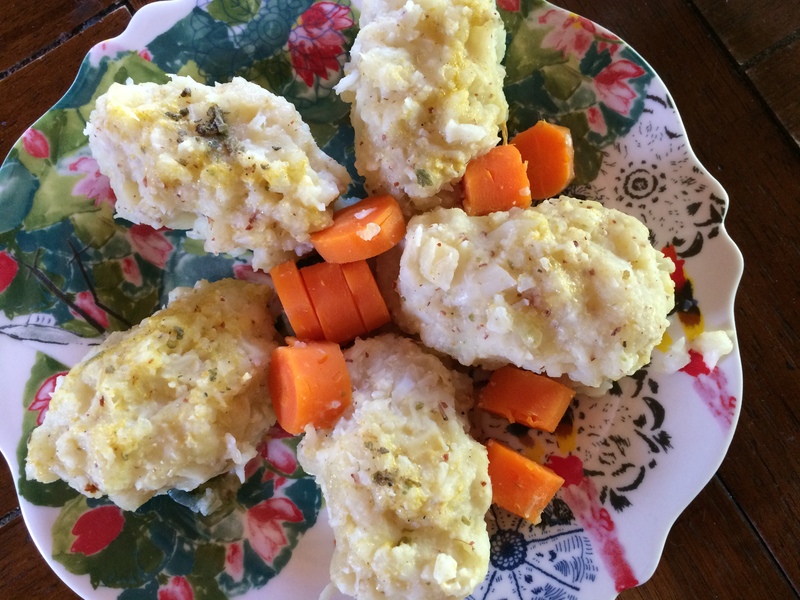 Use two tablespoons to form “Gefilte Fish” shaped patties (i.e. small lemon shapes/rugby ball shapes). Allow to stand for 10 minutes. Bring vegetable stock to the boil then lower the heat. Add the carrot. Carefully place the “fish” patties in the broth and cook on a low heat for 4-5 minutes. Do not overcook or they will start to disintegrate. Gently remove the “fish” with a slotted spoon and allow to cool. Remove the carrot and cut into diagonal slices. Plate up the “fish” or refrigerate until needed. Serve topped with a slice of carrot, and sprinkle of Old Bay Seasoning if you desire. Squeeze a lemon over “fish” and serve. 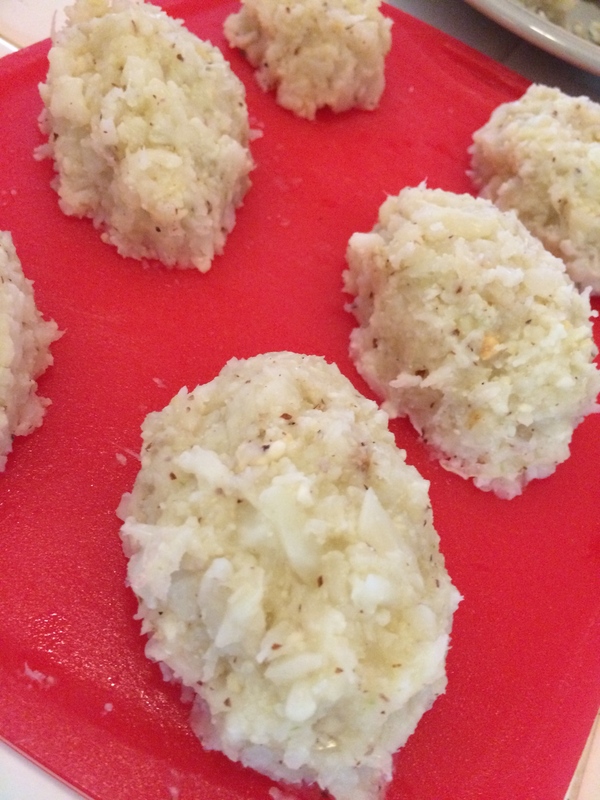 Tags: dairy-free, egg-free, fish-free, gluten free, holiday recipes, passover, vegan. Bookmark the permalink. Previous post ← Dairy-Free, Gluten-Free, Yum-Full Ice Cream!